Education is a light that shows the mankind the right direction to surge. The purpose of education is not just making a student literate but adds rationale thinking, knowledge ability and self sufficiency. When there is a willingness to change, there is hope for progress in any field. Creativity can be developed and innovation benefits both students and teachers. 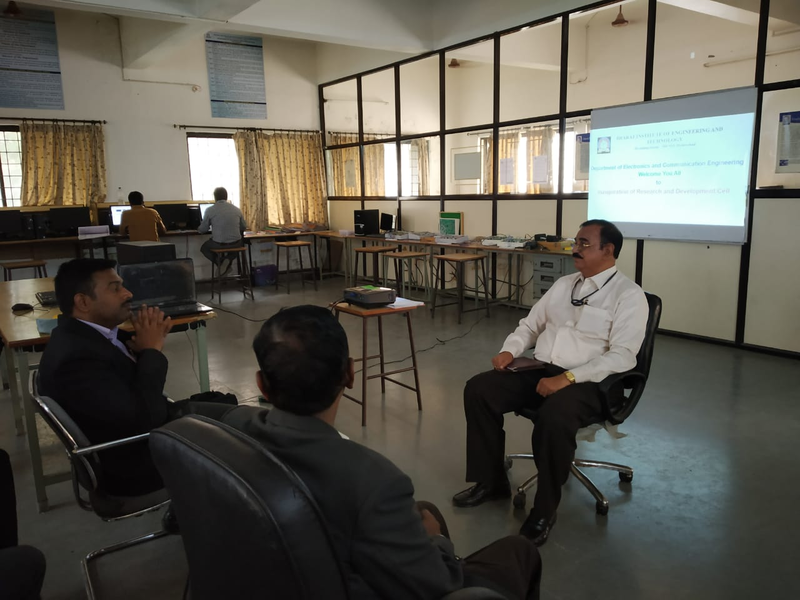 Contributions of BIET ECE Department Faculty towards inculcating innovative means in Teaching and Learning are clearly elucidated both in our Department Records and on the Institute Website for peer review and critique. Our work is open to be enhanced or reproduced. 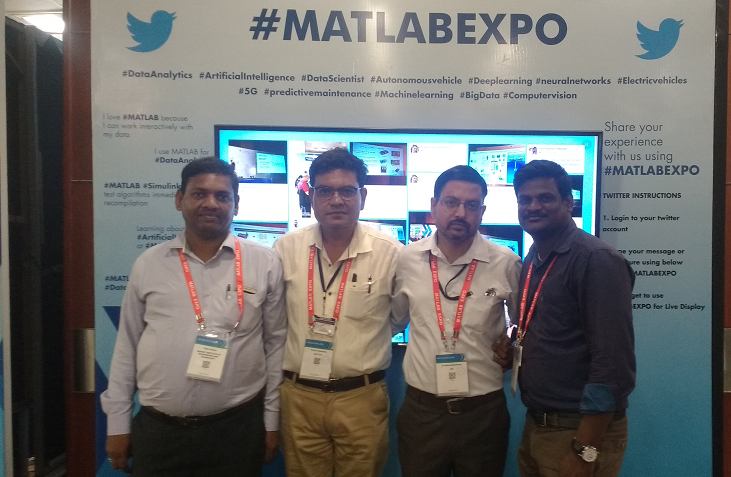 Some of our inclusive ways are attractive presentations, interesting videos and mini projects, practice programs, contents beyond syllabus assignment questions and quizzes, tutorial sessions especially for problematic and programming subjects, results analysis through interactive feedback, so forth. Proofs of the stated are comprehensively documented. To improve the level of understanding in students, the following innovative teaching approaches are undertaken by the institution. Information and Communication Technology or ICTs allow users to participate in a rapidly changing world in which work and other activities are increasingly transformed by access to varied and developing technologies. The Indian Information Technology and industry accounts for a 5.9% of the country's GDP and export earnings as of 2009, while providing employment to a significant number of its tertiary sector workforce. More than 2.3 million people are employed in the sector either directly or indirectly, making it one of the biggest job creators in India and a mainstay of the national economy. ICT tools can be used to find, explore, analyze, exchange and present information responsibly and without discrimination. ICT can be employed to give users quick access to ideas and experiences from a wide range of people, communities and cultures. Realising the importance of Information and Communication Technology (ICT) the Ministry of Human Resource Development as per the Mission Document, ICT is the tool in education available to enhance the current enrolment rate in Higher Education, at present 15 percent to 30 percent by the end of the 11th Plan period. The Ministry also launched a web portal named “SAKSHAT” a ‘One Stop Education Portal’. The high quality e-content once developed will be uploaded on SAKSHAT in all disciplines and subjects. 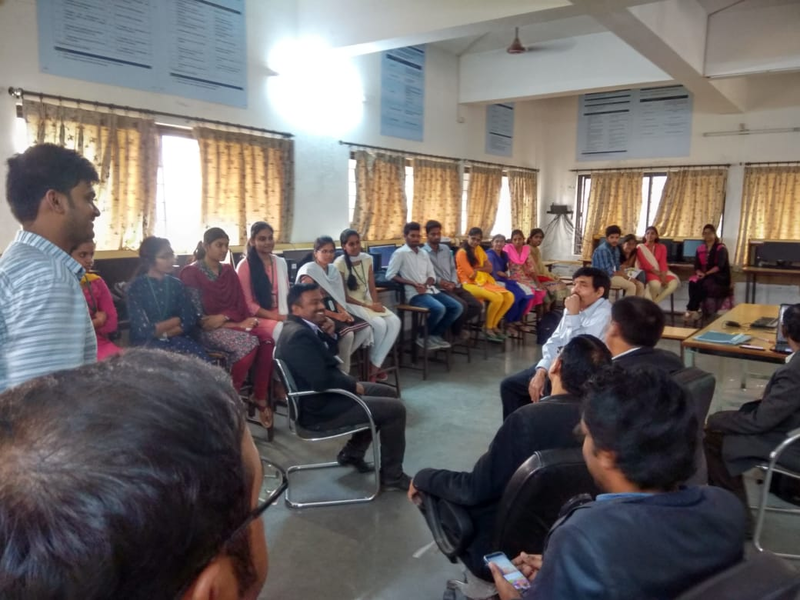 Several projects are in the completion stage and are expected to change the way teaching and learning is done in India. “SAKSHAT” a ‘One Stop Education Portal’. The high quality e-content once developed will be uploaded on SAKSHAT in all disciplines and subjects. 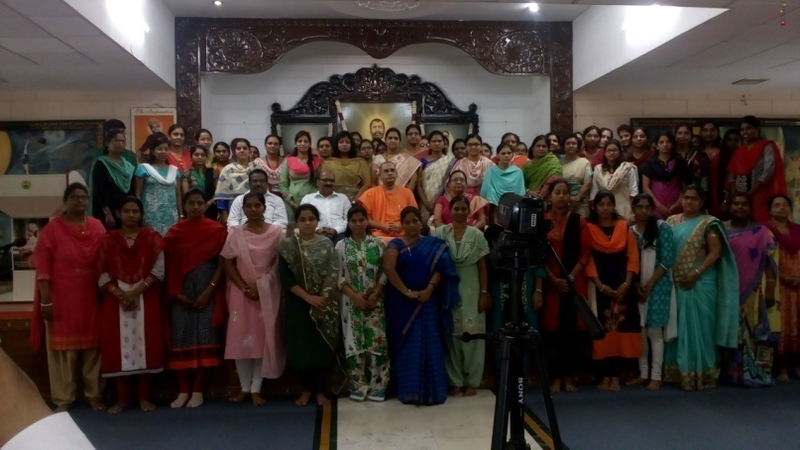 Several projects are in the completion stage and are expected to change the way teaching and learning is done in India. 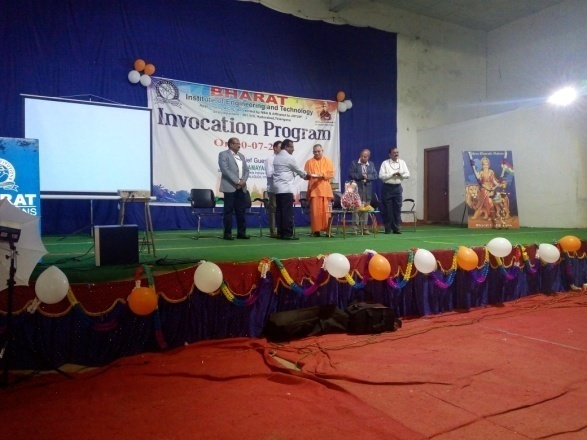 SWAYAM is a programme initiated by Government of India and designed to achieve the three cardinal principles of Education Policy viz., access, equity and quality. The objective of this effort is to take the best teaching learning resources to all, including the most disadvantaged. 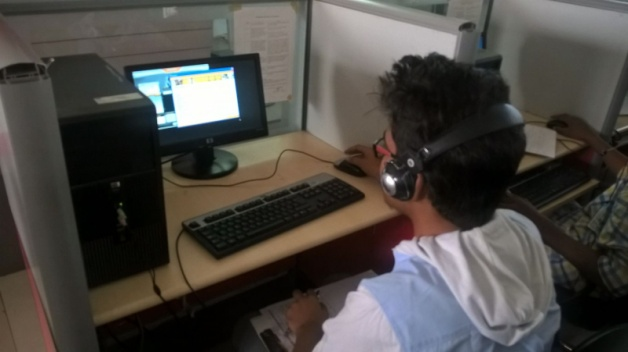 SWAYAM seeks to bridge the digital divide for students who have hitherto remained untouched by the digital revolution and have not been able to join the mainstream of the knowledge economy. 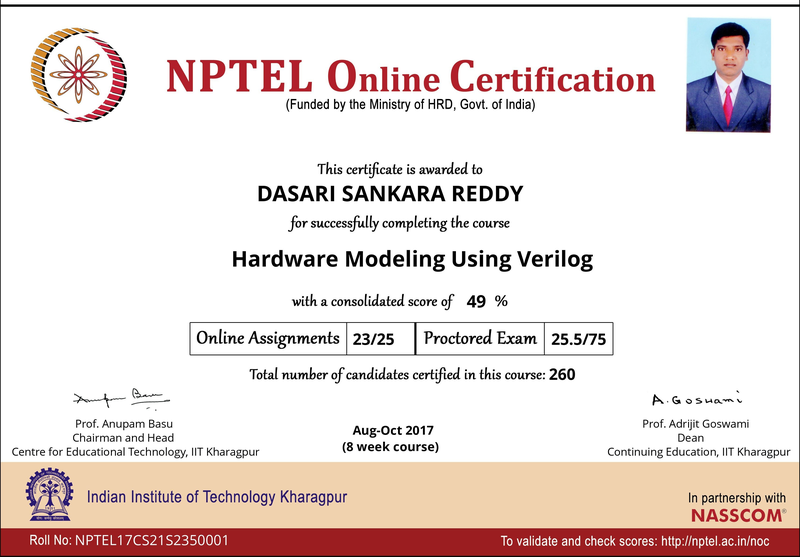 NPTEL began offering open online courses in March 2014 along with certificates from the IITs/IISc for those who completed the courses successfully. Massive Open Online Courses (MOOC) is essentially an asynchronous platform and a process for teaching through pre-recorded lectures, resource video materials, lecture notes, assignments and quizzes, which are usually online and provide self assessment in regular intervals during learning. 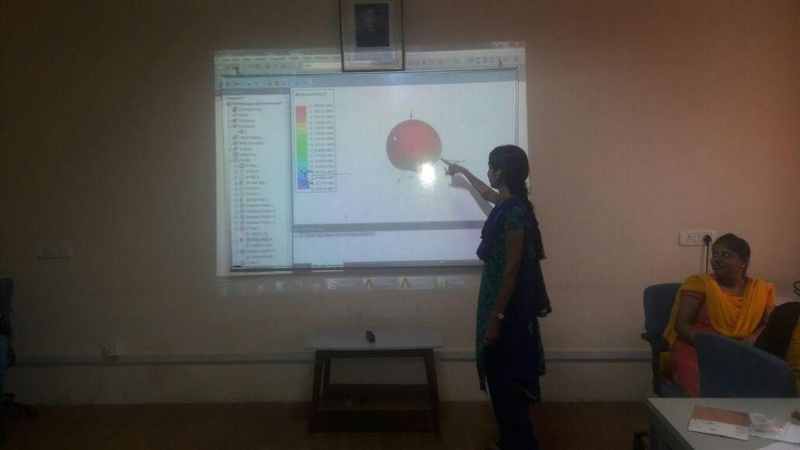 The online courses offered by NPTEL, unlike other popular MOOCs portals, include courses from all disciplines of Engineering such as Biotechnology, Ocean Engineering, Metallurgical Sciences etc apart from the popular ones such as Computer Science Engineering or Electrical Engineering. Examples of some such courses are Cell Culture Technologies, Forest Biometry, Integral equations, calculus of variations and its applications, Solid state physics, Regression Analysis,etc. 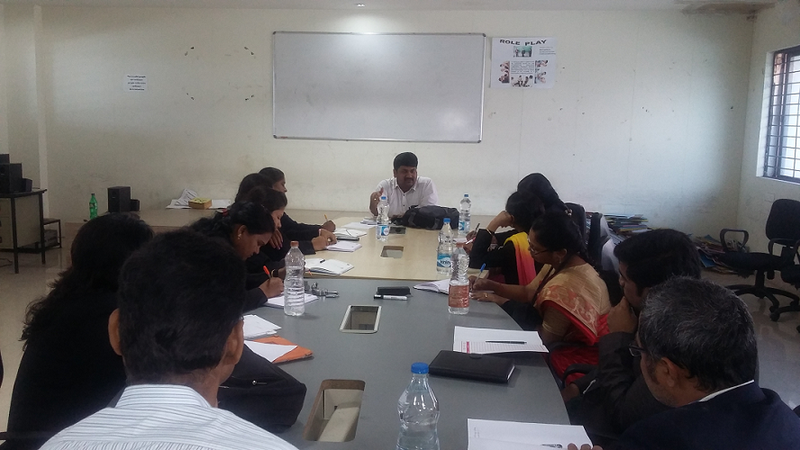 Faculty enrolling NPTEL online courses of their interest and appearing for Certification Exam conducted by NPTEL. 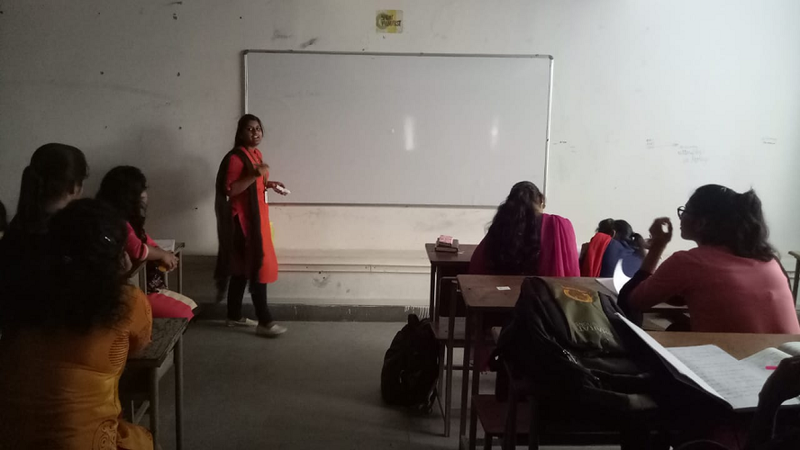 Faculty motivating students under their mentorship to enroll NPTEL courses and then solving Assignments with help of concerned faculty, listening NPTEL videos and appearing for certification exam. Faculty prepares power point slides on some theoretical concepts and having complex diagrams and then presents in the respective class room. 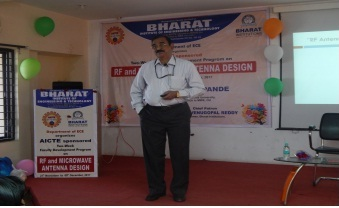 The Department of Electronics & Communication Engineering (ECE), Bharat Institute of Engineering and Technology (BIET) organized Two Week Faculty Development Program (FDP) on RF and Microwave Antenna Design sponsored by All India Council for Technical Education (AICTE). The FDP was held from 27.11.2017 to 9.12.2017. 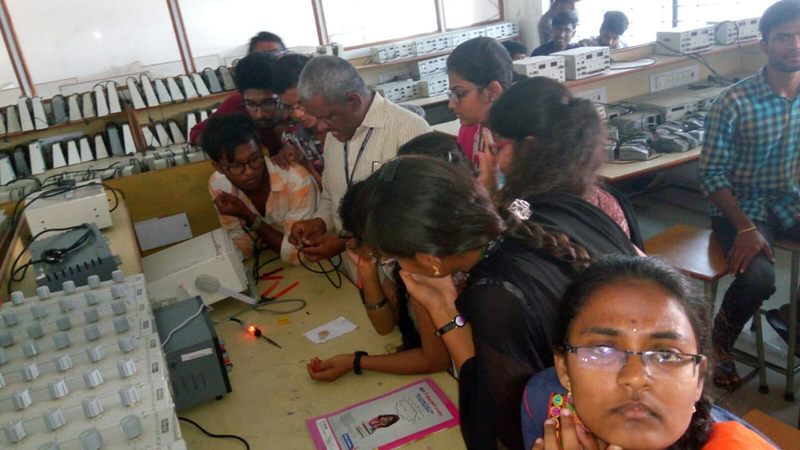 The FDP was inaugurated by the Chief Guest Dr.V.M.Pandharipande, Former Vice-Chancellor (VC), Dr.Babasaheb Ambedkar University and Director, Centre for Excellence in Microwave Engineering, Osmania University and Sri Ch. Venugopal Reddy, Chairman, Bharat Institutions along with other dignitaries. To make students discuss a given topic. Students are divided into three groups. Each group is assigned a name based on topic selected. 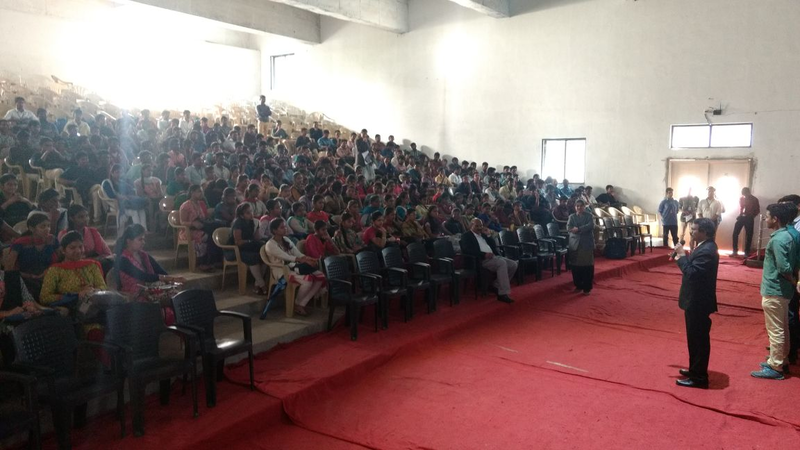 Students are asked to give their views on the concept. 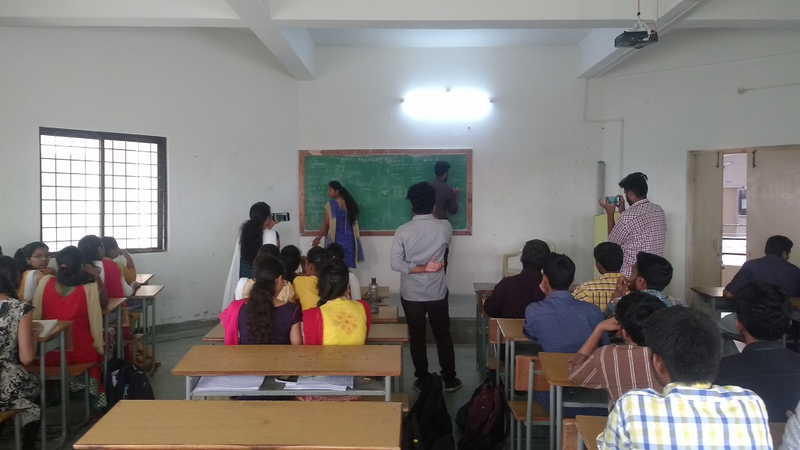 Active participation of students. Remembering the topic for a longer time. Selected 5 to 6 topics are given to some students. They are asked to prepare and give seminars on the given topics. Improved presentation skills of student and better analyzing of a topic. To make students understand IEEE papers and implement a part of it. 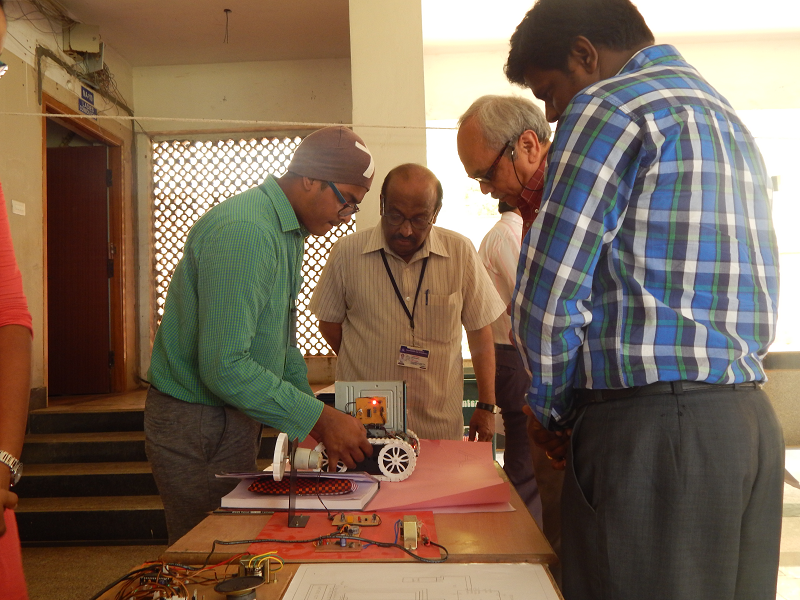 Students have implemented a few IEEE projects. Bringing out the creative thoughts of students. Mind Maps can be used in class to brainstorm and generate discussions. 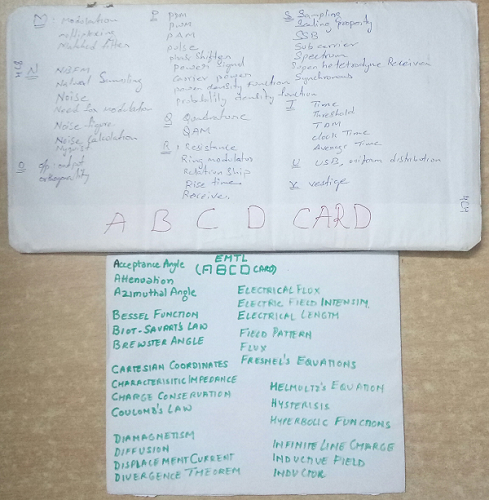 This involves use of notes with keywords and images in classroom teaching. This will encourage students not only to participate but also to fully understand a topic and its nuances by creating connections between ideas. This makes students remember the topic for a longer time. Students are given a scenario and other options to solve a particular issue, then the students are exposed to decision making in a given environment. Some students are selected randomly. Each student is assigned a particular frequency. 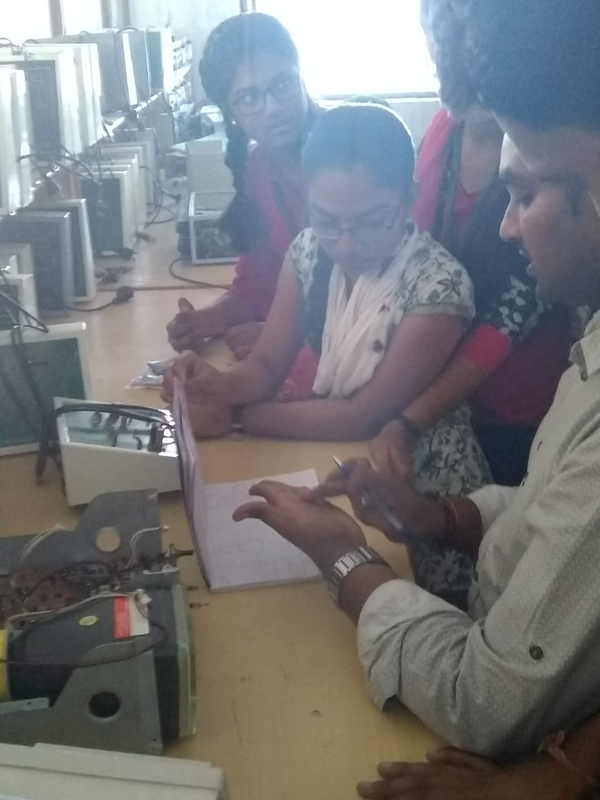 One students is selected to act as a low pass filter with particular cut-off frequency. He is made to stand at the door of classroom. Students come one by one. The student with frequency less than cut-off frequency is only allowed to enter the classroom. The other students are blocked at door. For Example explain the applications of 555 Timer in real time and explain their functional behaviour. A Bag is filled with papers having different topics of the subject written on them .each student is asked to pick a paper of student choice and they are given an opportunity to explain it. topics are written in paper and kept in bag. This allows students to experience a real time exchange of knowledge.